HUNDREDS of Fonterra employees and thousands of its farmer-shareholders have been dealt the twin blows of impending job losses and the prospect of a much lower farmgate milk price. The co-operative dairy giant said yesterday it planned to axe 523 jobs in the first phase of restructuring of its finance, human resources and information systems departments. The second phase is due to start next month. 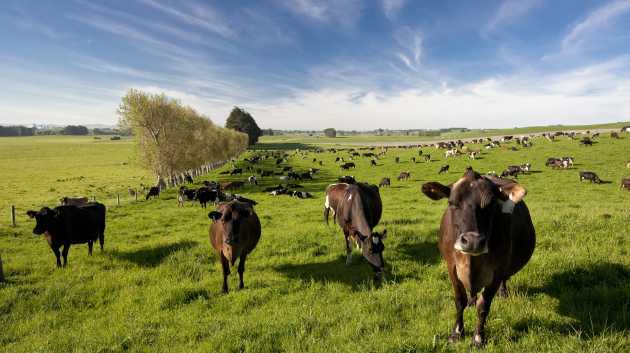 News of Fonterra's restructuring followed another dismal GlobalDairyTrade auction, which showed prices dropping by 10.7 per cent, following on from a 5.9 per cent per cent decline at the last sale early this month, and continuing the sharp slide that started in March. Prices for whole-milk powder - which make up about 75 per cent of Fonterra's farmgate milk price - dropped by 13.1 per cent, following a 10.8 per cent fall on July 2. At yesterday's price of US$1848 a tonne, wholemilk prices are a far cry from the US$3500 a tonne required to make Fonterra's $5.25 a kg of milksolids forecast a reality. The auction result drove the New Zealand dollar lower and the currency remained under pressure throughout the day, ending at close to a six-year low of US65.60c. NZX-listed Fonterra units, which give non-farmer investors access to Fonterra's dividend flow, dropped by 7c to $4.70 a unit. ANZ rural economist Con Williams said the impact of low dairy prices, and the job losses, would have a big "multiplier" effect throughout the broader economy. "I think it's getting pretty serious now." No bids were entered for the September, November and January contract periods for whole milk powder, which did not bode well for the demand side of the equation. On the jobs front, Fonterra's restructuring would make its presence felt in and outside the co-operative. "When we operate at the extremes like we are at the moment, you get a larger multiplier effect in the broader economy," Williams said. "That's when you see the job losses, not just at Fonterra, but also in the support businesses - those that are reliant on earnings coming from dairy farms." Fonterra has forecast a farmgate milk price of $5.25 a kg of milksolids for the current season and has said it will look at the forecast again when the board meets on August 7. ANZ is now forecasting a $3.75 to $4 farmgate milk price for the current season, compared with $4.40 for 2014/15. As a rule of thumb, $1 per kg drop in the milk price equates to approximately $2 billion less income for dairy farmers. Political pressure is mounting on Fonterra chairman John Wilson who is up for re-election as a director in November. Farmers are concerned that Fonterra's dividend has failed to provide a sufficient offset for sharply lower milk prices. While there is little the co-operative can do about international dairy prices, it does have control over manufacturing, and the dividend-paying side of the business. Fonterra's group director of co-operative affairs, Miles Hurrell, said the company's moves were not just about "headcount". "We needed to look at the business, end to end, to generate more value for shareholders." Fonterra said the job cuts would reduce its payroll bill by up to $60 million a year. Chief executive Theo Spierings said the co-operative had to change if it was to remain strongly competitive in the global dairy market. The review includes measures to improve profitability at Fonterra's loss-making Australian business as well as a series of moves across the organisation. Last year the company had 2590 New Zealand staff paid more than $100,000 or more a year and 17 staff earning more than $1 million, according to its annual report. 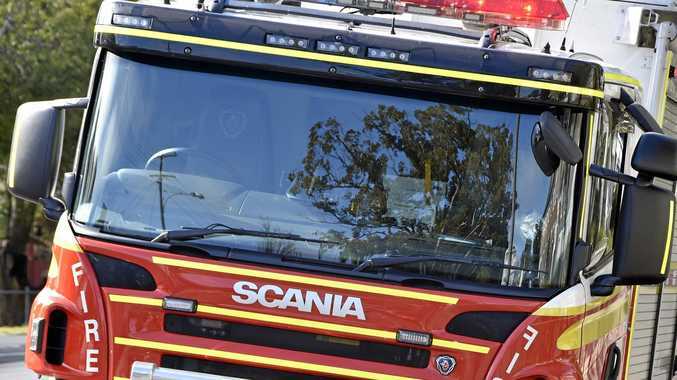 Breaking Paramedics and fire crews are at the scene of the blaze in Hervey Bay.